What is the Best Online Accounting Master’s Degree School? Here’s more information about the UConn MSA in Accounting requirements. The Southern New Hampshire University was founded in 1932 by Harry Shapiro. This name might sound familiar. BlumShapiro is one of the top 50 accounting firms in the US. Shapiro originally established the college to teach accounting and named it the New Hampshire School of Accounting and Secretarial Science. Today it is home to more than 2,900 on campus undergraduates, 10,300 alumni, and over 18,000 online students. Shapiro’s standard of excellence and success are still held strong in SNHU’s students and curriculum. Students learn from courses that are designed to help students pursue a career in accounting, pass the CPA exam, and achieve the pinnacle of the accounting profession. This fact is true in the over 10,000 SNHU graduates who have started successful careers and the many thousands who are continuing their education with online distance learning. Plus, the SNHU online MS in accounting program is affordable and convenient for professionals without requiring students to take the GMAT or GRE for admission. You can find more information about the SNHU Masters in Accounting curriculum here. The SNHU’s MA in Accounting program is accredited by the Association to Advance Collegiate Schools of Business. 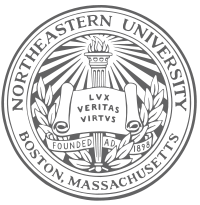 Here’s some additional information about the Northeastern University online MS in Accounting requirements. You can find more information about the Rutgers University online MS in Accounting curriculum here. 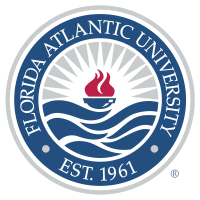 You can find more information about the FAU Accounting MS online curriculum here. 1 What is the Best Online Accounting Master’s Degree School?